We’ve been in Siena for the past couple days. 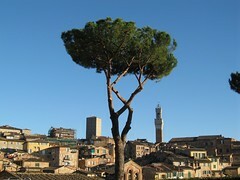 It’s a very cool walled city in the center of Tuscany that retains much of its old world charm. I am headed out to catch Christmas mass (something I haven’t done in about 25 years) at the Duomo.